Looking to buy a music gift item for Dad, boyfriend or any guy that is a music lover? These are the hottest fun musical gift items for that guy that loves to sing or make music. These set of 4 glasses are made and printed in the USA. It has something for everyone in the band with each from a different genre of music. The colors all resonate with the particular era of music. They definitely make a thoughtful gift item for any guitar or music lover. High-quality glasses for an unbeaten low price tag. Kill two birds with one stone with this unique gift item. Do you have someone who loves wine as well as music? 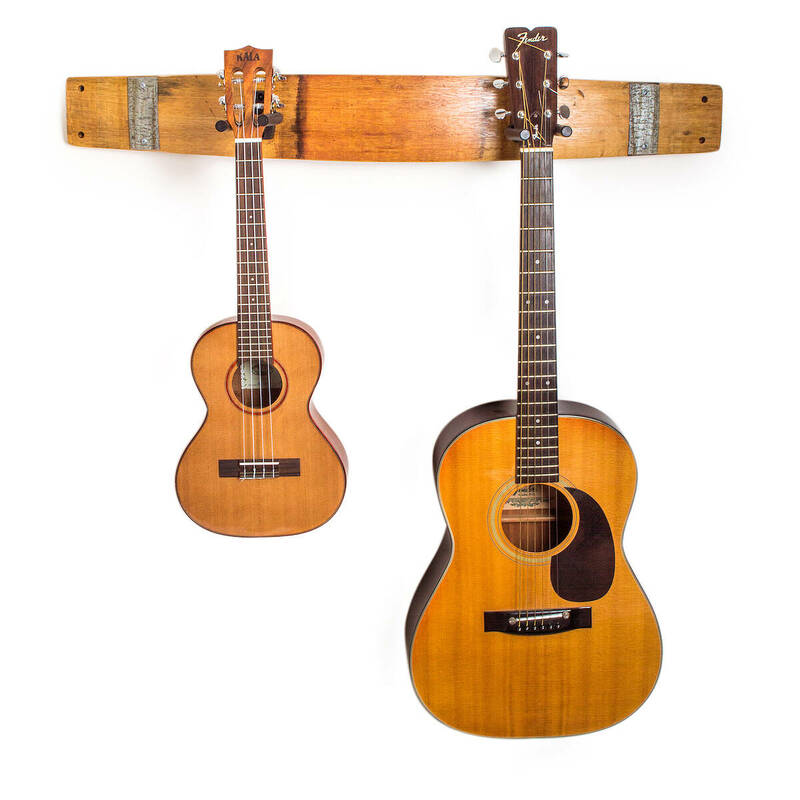 This Guitar wine rack might just be the perfect combo as a gift item for that person. Made by Brad Evans this item was created using oak wine barrel staves. Presently it’s one of the most sorts after vintage Guitar wine gifts in stores right now. If you are tired of tripping over your guitars on the floor this stylishly designed wine rack is a lovely way to keep them safe. It features a padded hook: To hold securely any guitar. It’s also adjustable. The rack also comes in two options, single and double rack to suit your personal preferences. Whichever one you prefer, they will fit in nicely with your home décor. Made in Lakewood, Colorado. What better way to show people that those living in the house are music lovers than an Amp doormat. 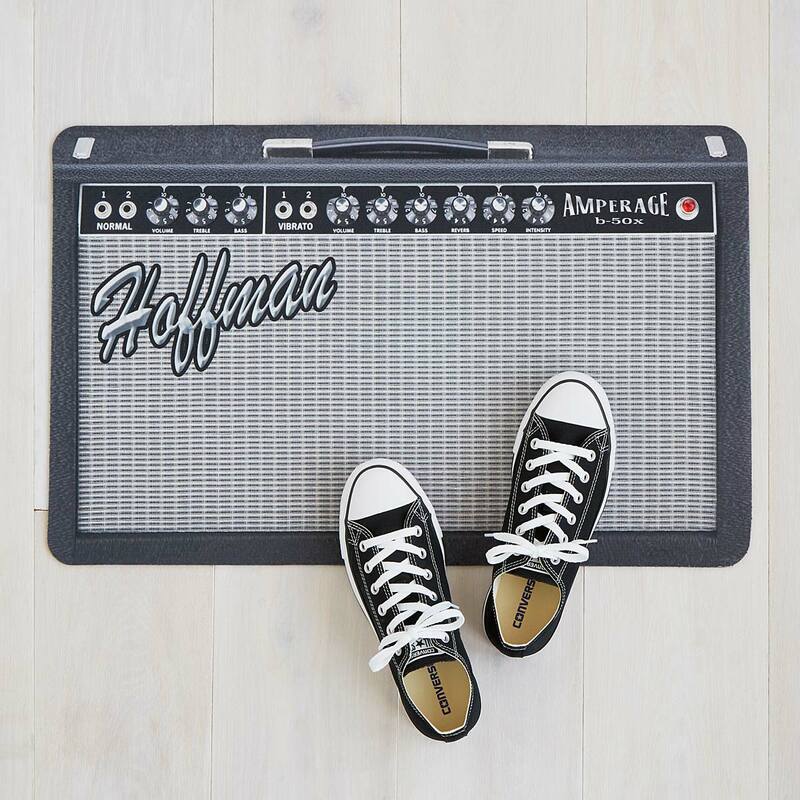 Strike a chord immediately with your guest by introducing them in a music-themed doormat. The graphical designs on this doormat can instantly appeal to the sensibilities of your guest the moment shoes meet mat. The best part is that it comes with an option to personalize the mat with your family name in place of an iconic rock band. Hayyyyyy… time for something more traditional. A cedar thumb piano. 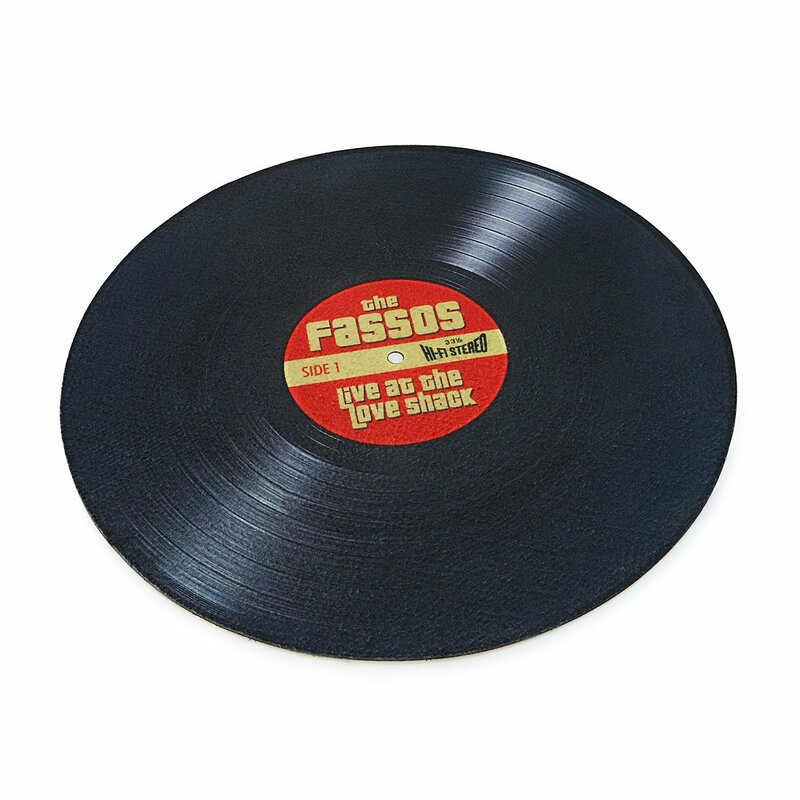 Strange as it would seem this gift item carries a lot of African music history with it. 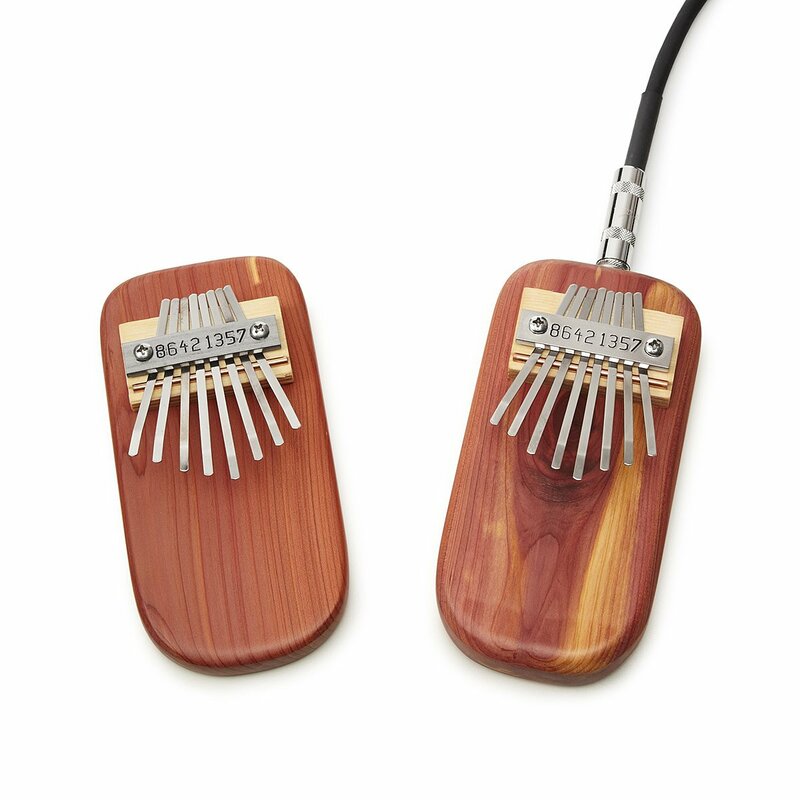 Depending on the region in which it is been played, the instrument is called kalimba, mbira, mbila or marimbula. Am sure you bite your tongue while you tried to pronounce those words. This instrument is lightweight, portable and was the ideal instrument for traveling troubadours telling the history of their tribe in songs. Whether you buy it for personal use or you just want to use it as a means of teaching the younger ones some few notes, they will serve as the ideal instrument for carrying some tunes. Simple as ABC just cradle the instrument in your arms and pluck the lines with your thumbs to play. This has to be a must-have for a music lover. If the person you want to gift this to, has no idea that music can be made just by rubbing your fingers on at the glass edge with wine inside the glass then they are in for a big surprise. These glass sets are innovative will help you perform a symphony on your tabletop. Bye bye to dull moments at dinner or even at a party. No more flagging parties with visitors constantly looking at the time. This glasses will turn up any drinking event to one filled with musical experience. They work by filling the glass to a desired musical note and then run your finger around the rim of the glass, this will make the glass vibrate and a crystal clear note will be heard. 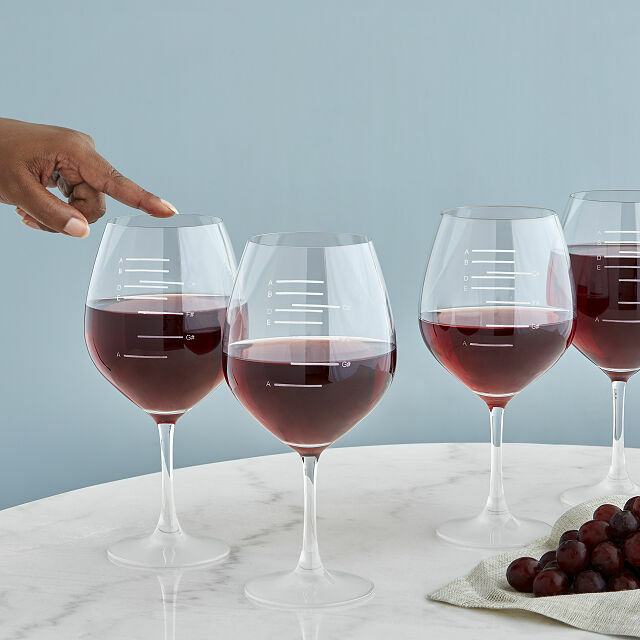 If you have guests who are not aware of this and assuming you have bought enough of these glasses, you might just be in for a concerto. It’s all about capturing and appealing to the musical sensibilities of your visitors first time. This harp will emit a trio of tranquil notes once it is moved. 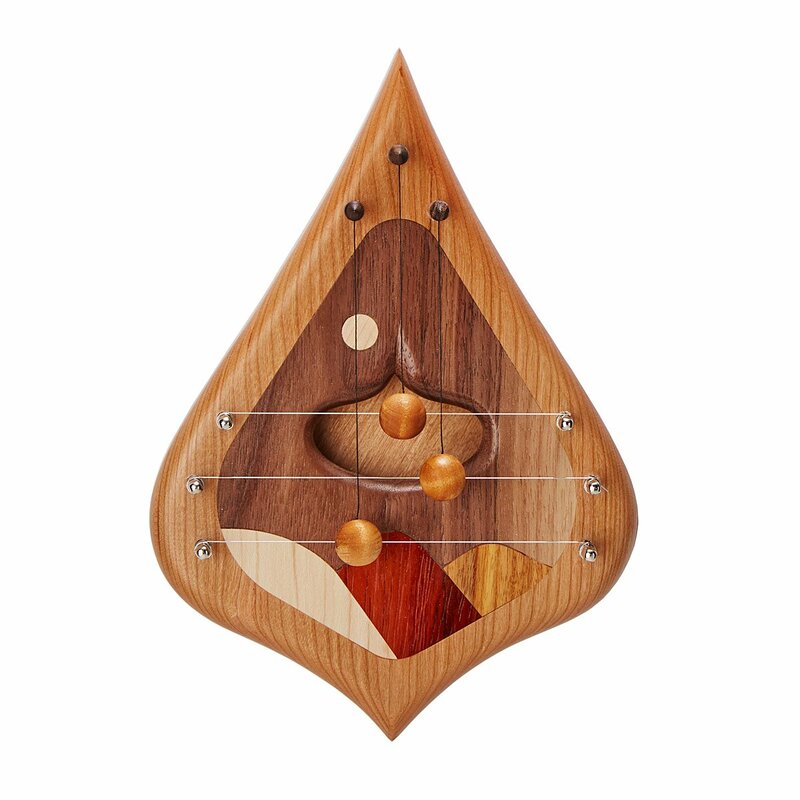 They are handcrafted from a mix of maple, padauk and canary wood. As the hanging mallets hit the wire the ethereal harp made by Bob Murphy will emit tranquil notes that are very pleasant to the ears. It’s eye-catching and can serve as a nice décor item when hung. Welcome your visitors warmly with this masterpiece… most music lovers will go ecstatic with this instrument. This has to be one of the nicest vintage home décor item made from golden oldies. 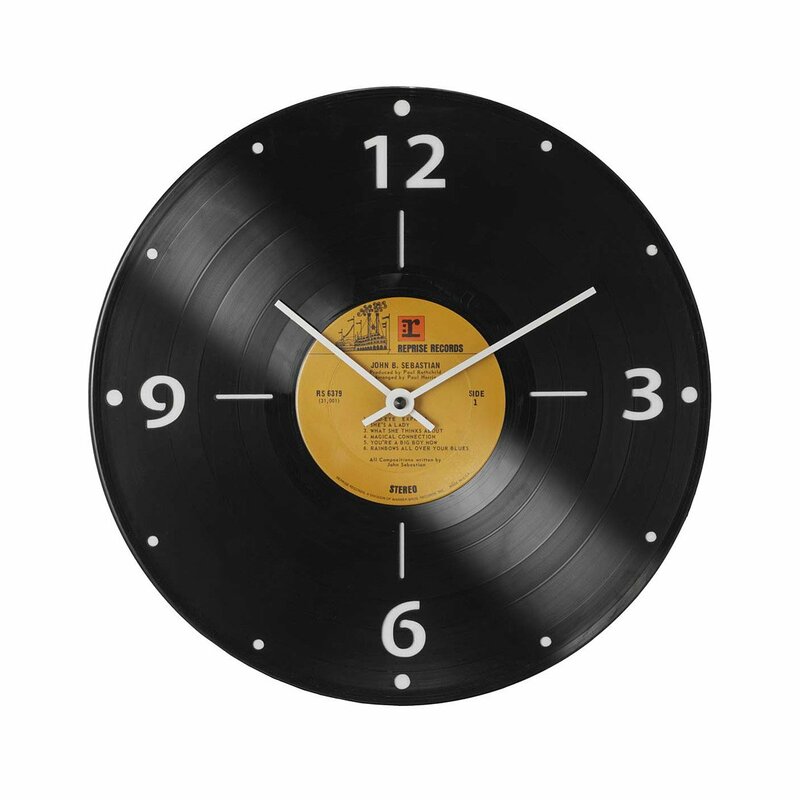 A beautiful record clock hanging on the wall might just be the perfect gift missing from a music lover’s collection. All year round, this item can hang on the wall, its timeless and will beautifully strike a chord with those living in the house. For long lost album lovers, this could be a great gift time to have, keeping the Vinyl LPs alive. Combining the innovative creativity of wall art and timepiece Davis has successfully incorporated clock hands into the face of a punchy, repurposed record label. 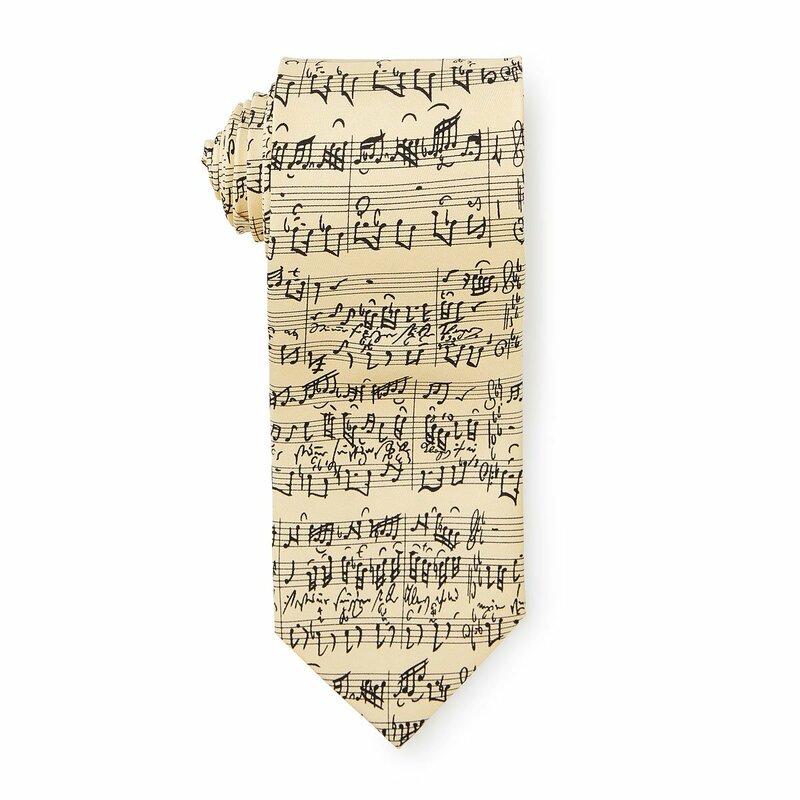 For music lovers who also like dressing smart, gift them this inscribed musical note tie by Josh Bach. This silk tie has notes carefully hand-drawn by an expert in the business so be rest assured that they are of very high quality. If you want to teach, perform or make beautiful music with business partners. Let this tie be your go-to accessory with formal attire. It will strike a chord. Hand-drawn and finished in New York. 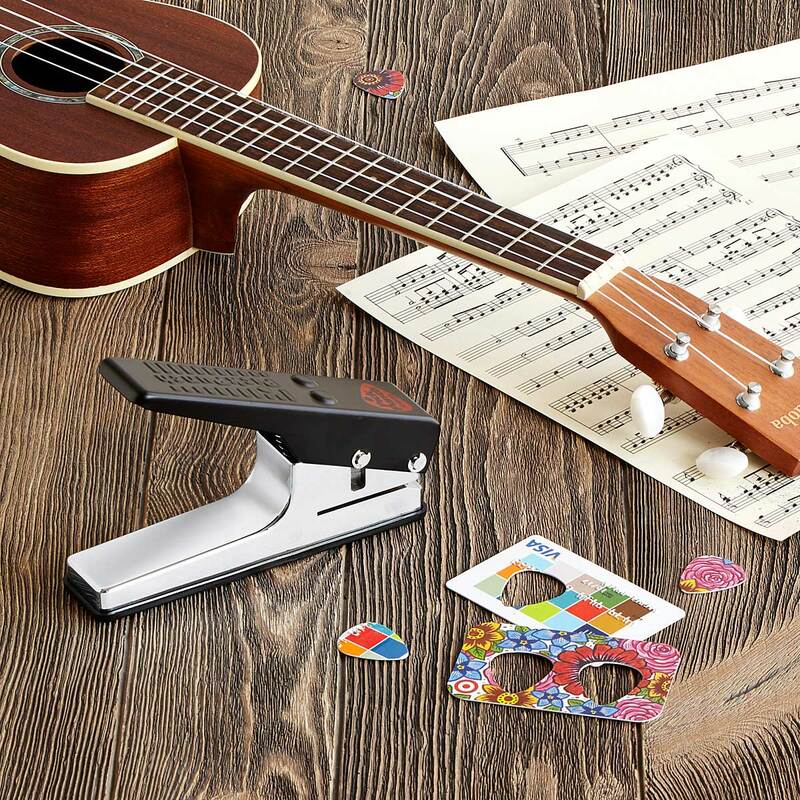 The pick punch is an innovative solution that helps you make personalized or customized guitar picks with old items in the house. These items could be old credit cards or worn out badges. Till date, it has had over 1200 positive reviews so be rest assured that you are getting something of a very high quality. Fun doormats are a steal any day any time. Personalize your name on the record label and make the whole family go platinum. Vinyl records are again making a comeback as the preferred format for most DJs, artist and audiophiles alike so a vinyl doormat is a thoughtful idea for a music lover. Its round, just like the record and can be personalized with your name or that of the whole family. Better still, personalize with a memorable choice album of yours, the possibilities are endless. Best used indoors. Made in NY.